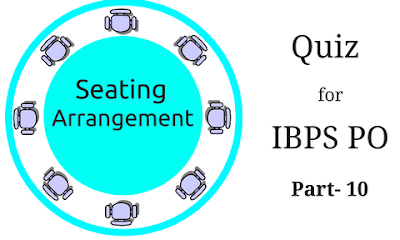 Directions (Q.1-5): Eight persons Monu, Manvi, Mohan, Meena, Mansi, Manoj, Manish and Mahesh are sitting around a circular table. Four of them are facing outside the centre and four of them are facing inside the centre. Each of them likes different types of dishes like Dosa, Idli, Pasta, Noodles, Rice, Butter paneer, Burger and Pizza. The one who likes Rice is sitting third to the right of Monu. Two persons are sitting between Monu and the one who likes Burger. Three persons are sitting between the one who likes Rice and Mansi. Two persons are sitting between Mansi and the one who likes Dosa. Manish likes Pasta and Facing outside the centre. The one who likes Noodles is sitting third to the left of Manish. Manish is not immediate neighbour of Monu. The one who likes Noodles is not immediate neighbour of the one who likes Dosa. Meena is sitting second to the right of the one who likes Dosa. Manvi likes Rice and sitting immediately right of Mohan. Mahesh's face is same direction as Mohan's and sitting between the one who likes Butter paneer and the one who likes Idli. The one who likes Pizza is sitting third to the left of the one who likes Butter paneer. Manvi's face is outside the centre. Four of the following five are alike according to the seating arrangement. Which of the following does not belong to that group? Which of the following is sitting immediately right of Monu? Which of the following pair is correct? How many persons are sitting between Manvi and the one who likes Pizza? What is the position of Mohan?